Having fun down in sunny Florida. We even make something once in a while. Nice set-up with plenty of mobile units…good job. Eric, this looks like you have put together a fun place in which to make some sawdust. 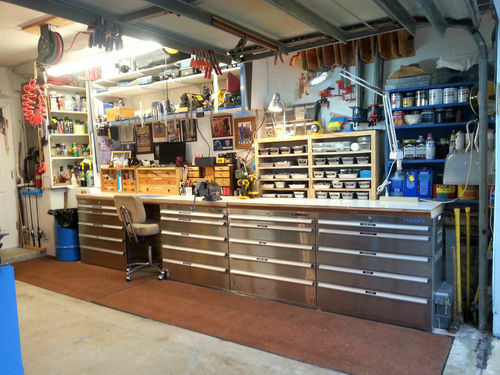 Your shop is well organized and putting your tools on wheels is an excellent way to maximize your space utilization. And it looks like you have a nice collection of tools to play with. I would enjoy working in there. Seriously, I love your system of everything on wheels. My shop is also on wheels. No matter how much room you have… it is never enough! I love the “woodpile”!! I’m jealous! Eric, that is an awesome shop. I love it. It is a dream of every Lumberjocks. For me, it is TOO clean. Who doesn’t love working out side on a nice sunny day! Cool shop! Looks like there is plenty of storage, although you can never have enough. 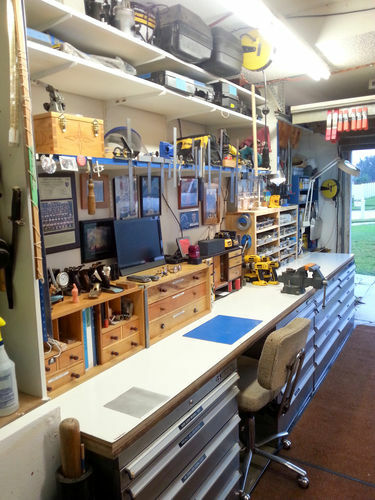 After seeing how clean and nicely organized your shop is, you can bet that nobody on LJ’s will ever see mine! 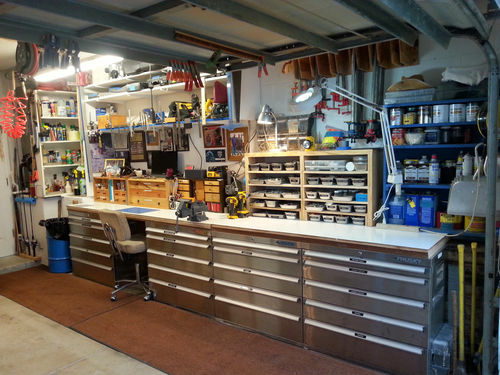 Very nice shop, I am envious of all the storage you have. Tons of storage. I really like this shop. You have put a lot into a relatively small space. Looks easy to work in too. Good job. Eric, thats a nice workshop. I love those colors.